This is the time of year when many people use online dating sites and apps to find that special someone. And, although there are a number of legitimate sites and apps with good people looking for a match, unfortunately, these sites are also used by scammers who try to take advantage of those who are vulnerable. 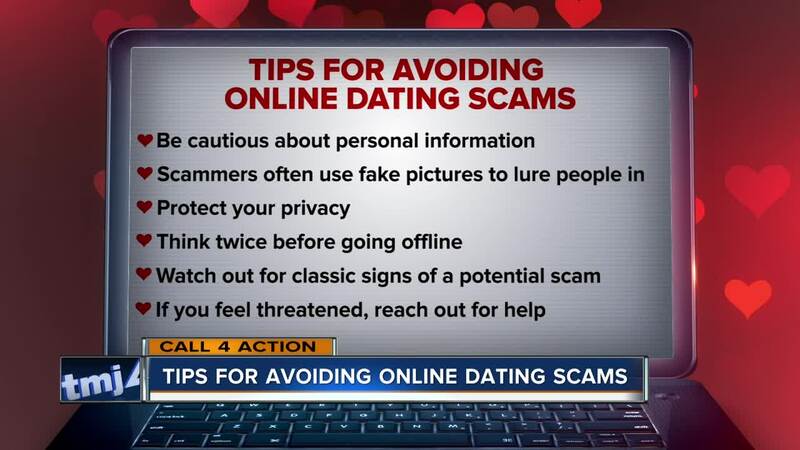 If you or someone you know is using a dating site or app, here are a few things that you might want to do to avoid getting taken. Be cautious about how much personal information you share, especially regarding financial information or specific information or pictures that a scammer could use to create harm. Watch out for comments or questions that could be phishing for personal information. Keep in mind, scammers often use fake pictures and details to lure people into their schemes. Do not trust everything you see online. Protect your privacy by using separate user names, e-mail accounts, and passwords. Think twice before going offline to communicate with a stranger. Scammers may ask to use instant messenger or other forms of communication to avoid being tracked by authorities. Watch out for classic signs of a potential scam such as a scammer telling you that they are involved in a temporary financial situation and need money to be wired or provided via numbers that appear on prepaid credit cards or I-Tunes cards. If you feel threatened, something seems odd, or you feel that you are being scammed, do not be too intimidated or embarrassed to reach out for help. Keep copies of all correspondence and report the situation to authorities and the site’s administrator or customer service immediately. Your information could help others from being harmed in the future.